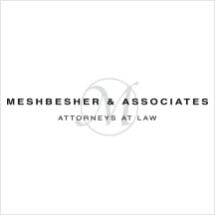 Whether you are dealing with a severe personal injury or criminal allegations, one Minneapolis law firm stands out among the rest: Meshbesher & Associates. For generations of Minnesotans, the name Meshbesher & Associates has become synonymous with professionalism and the relentless pursuit of justice ― not to mention a long history of successful outcomes for our clients. We know just how frightening a personal injury can be, particularly when your medical bills begin to pile up and insurance companies refuse to cooperate, so let us help you obtain the justice you and your family deserve. Our lawyers have experience helping a wide range of injury victims, including those whose personal injury claims are related to motor vehicle collisions, defective/dangerous products or any other type of serious accidents. We also handle all levels of criminal defense, from misdemeanors to serious felonies. However, no matter the legal issue you need assistance with, our tenacious and hardworking attorneys will do everything possible to obtain the results you need. While our firm has certainly grown and evolved over the years, the one thing that has always remained constant is our commitment to providing our clients with the highest level of legal representation. So, when a serious injury or criminal charge puts your future at risk, go with a law firm whose name you both know and trust ― go with Meshbesher & Associates. Contact us today for a FREE consultation.